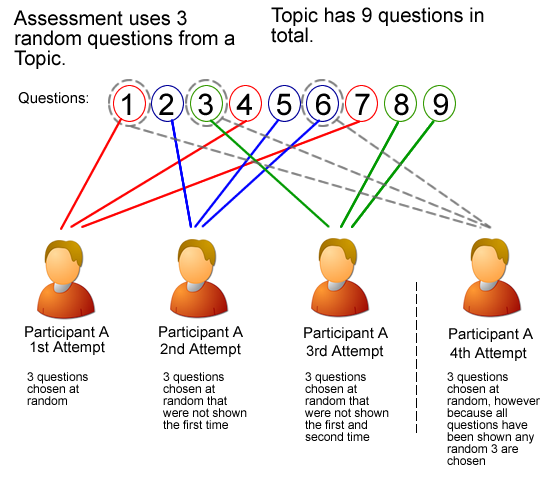 When you’re allowing a participant multiple attempts on a quiz or test, you might want to be able to deliver ‘new’ questions to the participant each time that he or she takes the assessment. In other words, you might wish to ensure that the participant doesn’t get the same question on subsequent attempts — particularly if your assessment is drawing questions from a large item bank. Once you select this option for a particular assessment, participants who have multiple attempts on the assessment will not be delivered the same item on subsequent attempts. 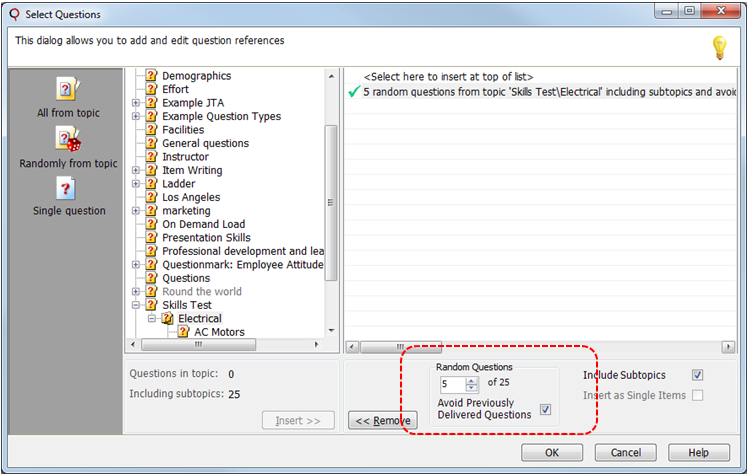 This feature can be useful for both quizzes designed to assist in the learning process as well as for medium and higher stakes assessments where administrators are looking to limit item exposure to candidates. Great and long awaited feature! 1)how does the system behave if the student is entering an attempt after having had all questions in a topic on previous attempts? 2) if a student has connectivity issues and does not achieve a successful completion , does that “count” as an attempt? Don’t confuse this with a failure – which IS a successful completion. Think loss of internet during an exam. 3) if a student either successfully passes an assessment, or is disenrolled because of too many failures, and then at a later date re-enrolls, does this feature look at previous enrollment data? I’ve just chance upon this thread. Are there any answers to the questions Gail Watson posted? Also, which QM version is this/or is available from? 3) if a student either successfully passes an assessment, or is dis-enrolled because of too many failures, and then at a later date re-enrolls, does this feature look at previous enrollment data? A: Yes, it will look at previous attempts at the same exam for the same participant ID number.